SEATTLE – The startup company PicoBrew has created a type of Keurig that will allow people to make beer at home. Bill Mitchell, ex vice president of Microsoft, is now the CEO of the Seattle-based startup, PicoBrew. The company has launched a new gadget known as the Pico. 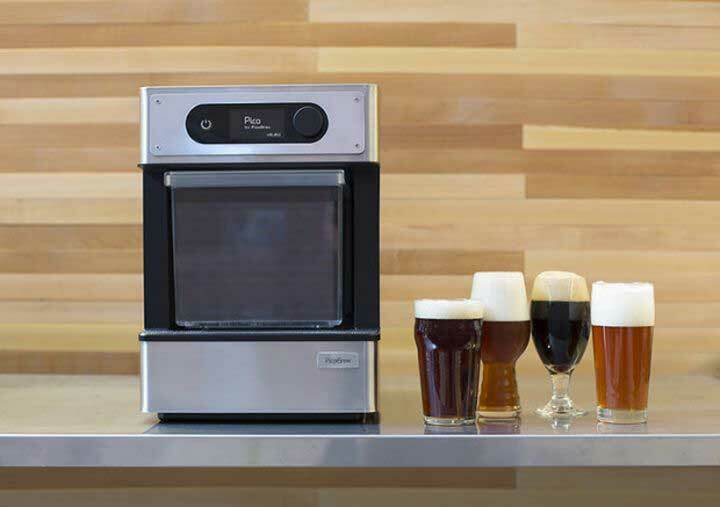 Pico is about the size of a large microwave and brews beer, at home. The machine, dubbed as a “3D printer for beer” by some, works like a Keurig. It requires 19 PicoPaks, which have enough ingredients to produce 5 litres of beer. Once the PicoPak is introduced in the countertop system, heated water circulates and extracts the grain sugars and essences, a process that takes near 2 hours. As a result, the product sits in a steel tank and the biodegradable Pak can be thrown away. However, the yeast needs to be pitched and the beer to ferment at room temperature for 5 to 7 days. After that, all that is left is to cool and close it. As a 21st century gadget, Pico can connect to the internet, sending users an alarm to their smartphones to alert them when the beer is done. Sanitation isn’t of much worry. Once each batch is done, the user adds the cleaning pellet, also provided by Pico. Additionally, the near-boiling water sanitizes the tank, providing low contamination risks. Users shouldn’t worry about not knowing how to make beer. The Pico comes with recipes from world-class craft brewers, such as Dogfish Head, Rogue Ales, Elysian Brewing, and Peru’s Cervecería Barbarian. Nonetheless, the owners can adjust the alcohol content and bitterness at the beginning of the process. The Pico is available for pre-order on Kickstarter for $500, but will be offered through retailers such as Amazon in spring 2016 for $1,000.